Vote: Would You Wear a Louis Vuitton Belt? Remember when designer belts, especially Gucci and Louis Vuitton, were huge? Well, it looks like Louis Vuitton might be coming back on top. 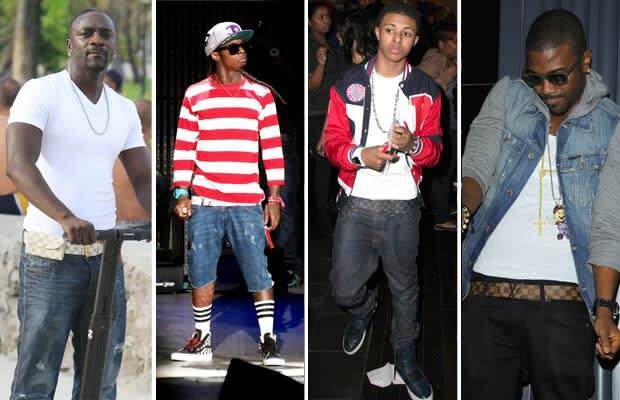 Celebrities and artists like Akon, Lil Wayne, Diggy Simmons, and Ray J have all been spotted rocking either the graphite, azur, or ebene colored Louis Vuitton Damier belts. Priced at over $400, most of us have to plan out our finances to cop one of these joints. Do you think they&apos;re worth it? Are Louis Vuitton belts cool? Is it a "new" trend? Take our poll below and let us know how you feel. Would you wear a Louis Vuitton belt?